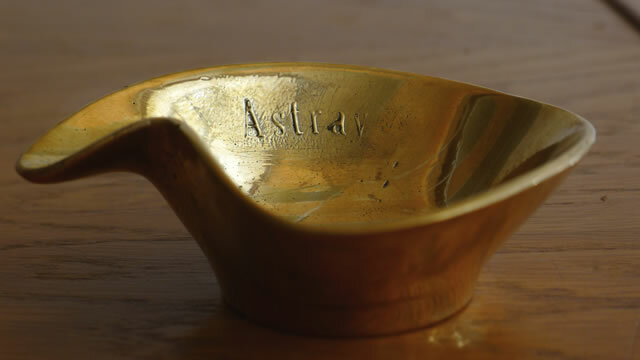 Brass cast of a found plastic hotel ashtray with the word, ‘Astray’ embossed in Gloucester MT Extra Condensed lettering. 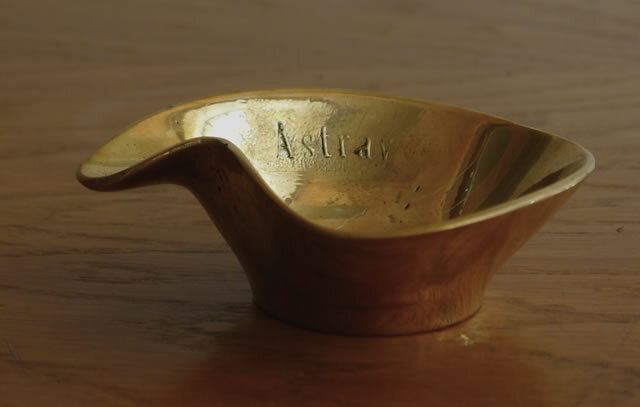 Technically a malapropism, the removal of the letter ‘h’ from the word, ashtray, brings a wild new dimension to the object. 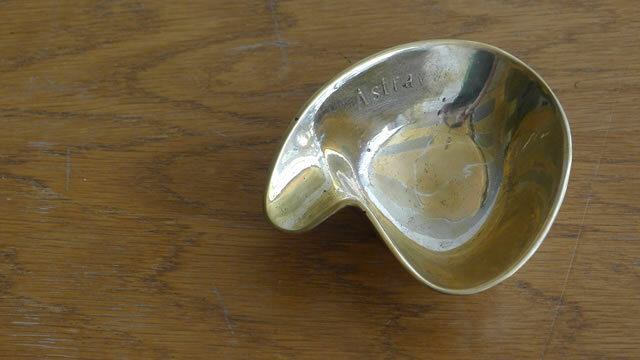 An untimely object, the production of an ashtray in 2014 is both about loss and celebration, but also about the repurposing of a type of object which, in searching ebay, one finds now regularly described not only as ashtray, but also as small pot or tea-light holder. 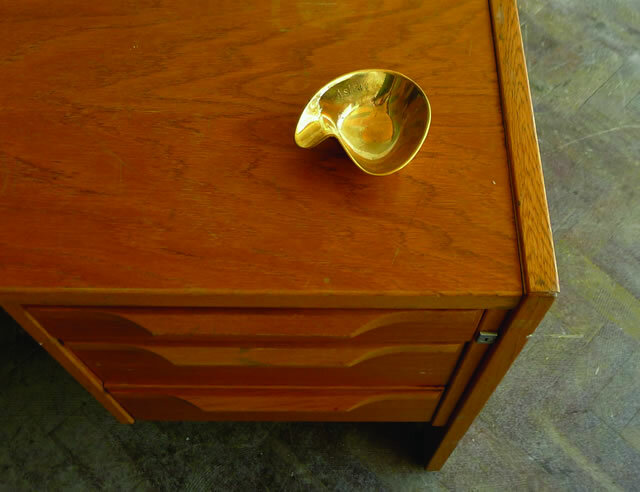 As with Beasley’s previous edition, Hardware, a brass gherkin for Spike Island (2013), the viewer must make their own decision as to exactly what purpose it might serve. 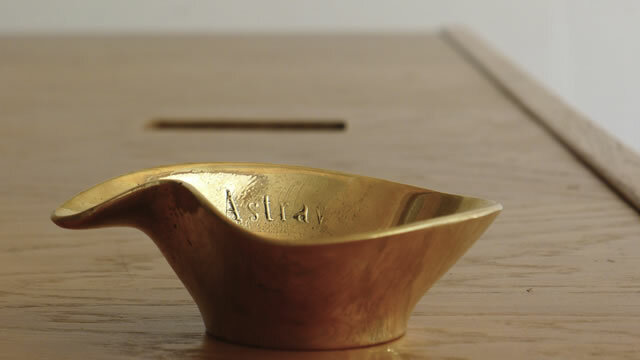 The 2014 production of the object- which the artist first found and imagined with the word Astray’ inscribed in 2004- is a result of an invitation from the South London Gallery curator Anna Gritz to produce an edition as an aftermath to Beasley’s project, A Slight Nausea.The preparation, molding and first casting has been supported by Claremont Studios and Dear Gordon. 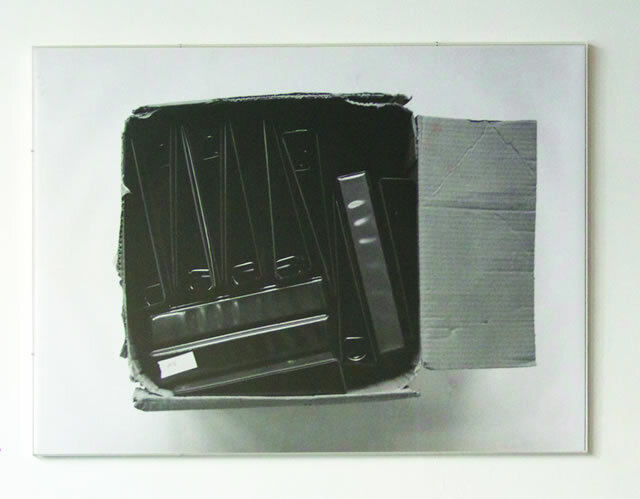 B/W aerial 1:1 scale photograph of a box of empty plastic files which the artist found on the street in London in 2002, photographed and then kept for the next ten years imagining a possible future sculpture she might make with them. 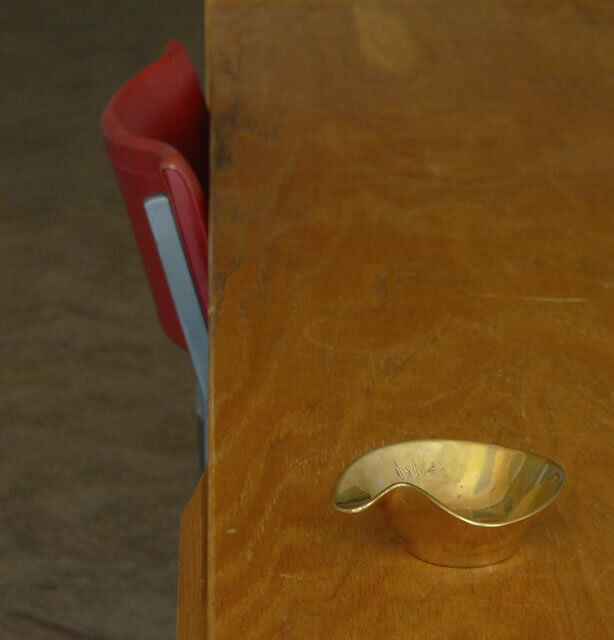 Eventually she threw them away. 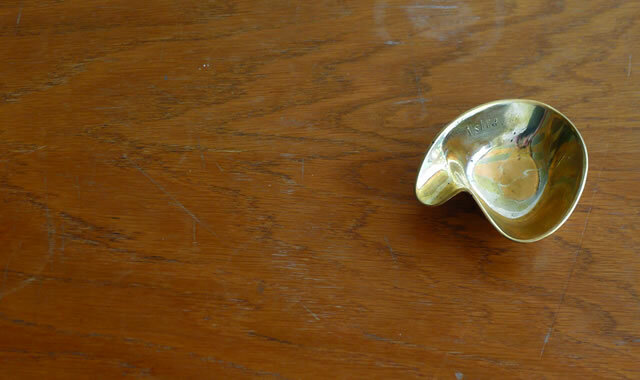 The acrylic frame was also found either on the street or in a charity shop at around the same time.